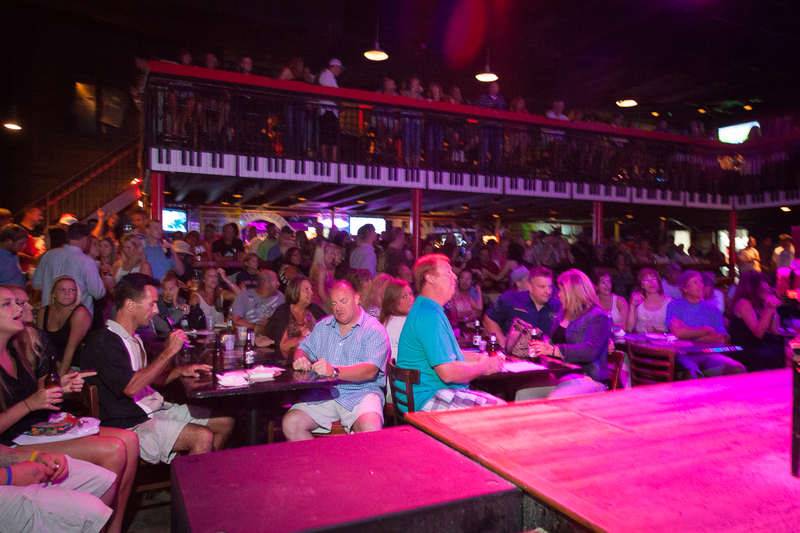 When you hear the term "dueling pianos," we're not talking about an 88 key battle much like the 1970s classic instrumental Dueling Banjos. 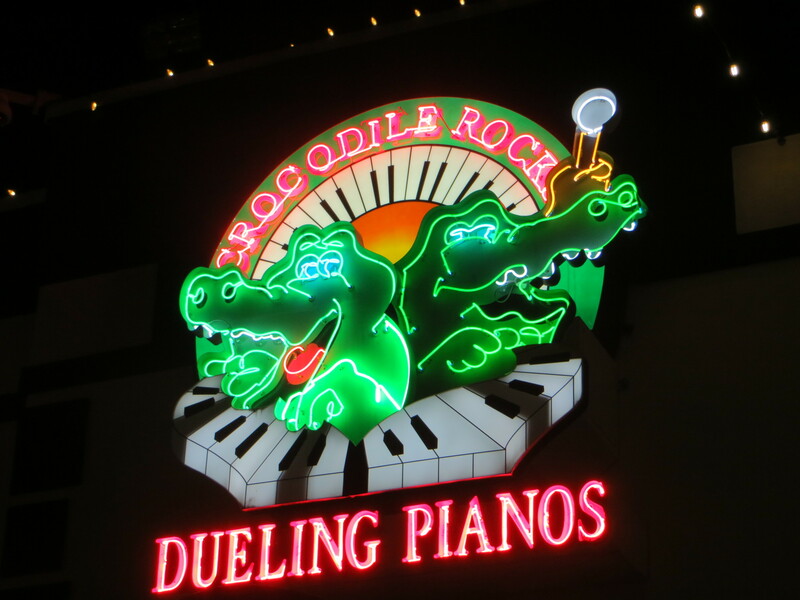 In this case, we're referring to Croc Rocks, the only dueling piano bar in South Carolina's Myrtle Beach. We're talking about entertainment that's parts comedy, cabaret, concert and all entertainment. It's partying, dancing, singing, laughing, and enjoying a good drink and a great meal. Myrtle Beach is one of the most popular destinations on the East Coast. Spring break, golf, family vacation, attrctions and even hot retirement community, it's a city where you can get your King Arthur on at Medieval Times, do some fishing on Springmaid Pier or stroll along the Boardwalk while enjoying some of the best ice cream you'll ever get your hands on. And there's a reason the word "beach" is in the city's moniker. Of the estimated 14 million that visit annually, many come out to relax on the sands and enjoy some of the warmest waters you'll ever touch. Croc Rocks, located in Celebrity Square at Broadway at the Beach, epitomizes everything that draws people to South Carolina. Open nightly, customers find themselves immersed in an energetic and fun party where the music doesn't stop. It's infectious. Music styles can fly everywhere. In a single night, you might hear Lady Gaga, Jerry Lee Lewis, Garth Brooks, the Beatles, Billy Joel, Metallica, Katey Perry, Elvis or Jimmy Buffet. And we've found, with awe, no matter what your music tastes, you will be clapping along, singing along and dancing until your feet hurt. What we appreciate about Croc Rocks is the show is about the audience. That what makes it perfect for everything from spontaneous gatherings to corporate events, birthdays, anniversaries, and bachelor and bachelorette parties. And unlike the typical wedding band or DJ, every nightly show is an unique experience, driven by everything from audience requests to spontaneous covers. Not surprisingly, you're going to work up an appetite with all that jumping around. No worries. Croc Rocks has an affordable menu that offers everything from fried butterfly shrimp baskets to tortilla chips, chicken tenders and an old fashioned American hot dog. You'll also be able to quench your thirst with a cold beer, a soda or anything in between. With its personalized approach to entertainment, Croc Rocks is an excellent venue for private events. Book your event and tailor the festivities to your specifications. Instead of a typical reception in a dance hall, flip the script and bring the entire wedding party in for a night of music. Watch the guest of honor at the birthday party go red when they're dragged on stage to sing along. Maximize your fundraiser's potential while giving donors an indelible memory. Have full catering or a specific artist at Croc Rocks perform just for you. Keeping it small or blowing the roof off, the club will follow your lead. Whether you're a life-long resident or a visitor, Croc Rocks will show you why everyone loves Myrtle Beach.